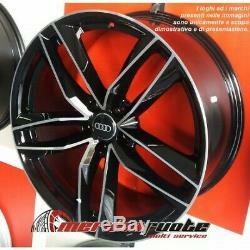 Rs6 bd kit 4 wheels alloy da 20 and 25 x audi a5 cabrio coupe s5 rs5 b8 italy. This product page has been automatically translated. If you have any questions, do not hesitate to contact us. 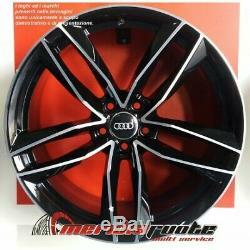 Rs6 bd 20 inch alloy wheels x 4 and 25 kit audi a5 convertible coupe s5 rs5 b8 italy. The wheels can be fitted to cars registered from 1 January 2015. B: . Always check the compatibility chart before making your purchase. For cash on delivery is provided 10 percent of the total advance order. . Kit rims & new wheels. For bank transfer payments, Meridia Wheels will not issue any shipments until you have confirmed that the amount has been credited. Purchased items will be carefully packaged and entrusted for delivery to the courier company. Delivery varies from 24/48 h working days. Orders placed during office hours (Monday to Friday, between 09:00 ) will be taken on the same business day. No delivery will be made on Saturdays, Sundays and holidays, but will resume the first day of work. In accordance with the legal requirements in force, the customer has the right to cancel the purchase without penalty within 10 days from the date of receipt of the products. In the case of multiple purchases made by the customer with a single order and delivered at the same time, the period of 10 days. Starts from the date of receipt of the final product. In case of exercise of the right of withdrawal, the customer is obliged to return the goods within 4 days from the date on which he communicated to meridia wheels his will to terminate the contract in accordance with art. 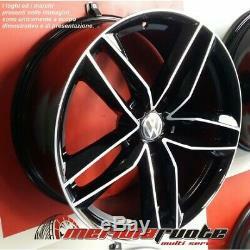 The expenses for the return of the products are invoiced to the customer on exception authorized by meridia wheels. If the inside / outside packing is ruined, meridia wheels will get a percentage of the refund due from the value of the damage itself, as a contribution to the costs of recovering the goods. The customer will track your shipment to the carrier chosen by you and inquire about the irregular delivery situation Meridia Wheels is not liable in any way for any damage or theft / loss of goods returned by insured shipments; -On arrival at the warehouse, the product will be checked for any damage or alteration not caused by the transport. If the original packaging inside / outside is ruined, s4 withdraws from the refund due a percentage equal to the value of the damage itself, as a contribution to the costs of recovering the goods. The goods must be returned intact, in its original packaging, complete in all its parts including the packaging and any documentation and accessories: accessories, manuals, etc. It is planted absolutely apply scotch on the original packaging, so we advise you to keep all in a second pack or package the product with a subsequent addition to the original package. Paragraph 56 3 206/2005, as amended by Decree d. Lgs 21/2014, meridia wheels can suspend the refund until receipt of the goods, or until the customer demonstration you send back the merchandise to meridia wheels. Meridia wheels will refund according to the same payment method chosen by the customer at the time of purchase. In the case of payment by bank transfer, and if the customer intends to exercise his right of withdrawal must provide meridia wheels, always using the same method of contact described above, the bank details needed to make the bank refund. 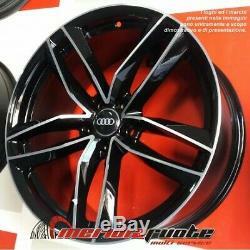 Meridiaruote is based in polignano a mare, bari province and is mainly engaged in wholesale and online rims, parts, accessories and car tuning. Our absolute priority in selecting the products that we sell by meridia, is to satisfy the customer at 360 ° by putting at your disposal our experience in the field. We supply different tire shops, mechanics, body shops, car dealerships and private groups in Italy and abroad with the reliability of a traceable, secure and timely service. Quality, professionalism and reliability are the keywords that every day we play with passion in our work, and we hope we can identify each of our customers. Meridiaruote is also 35 q. Li vehicles up and review workshop center. The item "rs6 bd kit 4 wheels alloy da 20 and 25 x audi a5 cabrio coupe s5 rs5 b8 italy" is on sale since Friday, September 14, 2018. 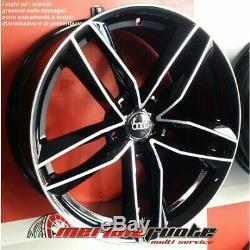 It is in the category "auto, motorcycle parts, accessories \ auto \ tires , rims \ rims ". The seller is "ruoteoutlet" and is located in polignano a mare.